I've always been attracted to wikis as a concept and ready to jump in and build wiki content whenever I came across one that I could contribute to. And yet, other than my own personal wikis (an oxymoron), I have not encountered opportunities to consistently contribute to the development of a real collective wiki. In the smartest and fastest organizations, leaders do not have the authority to issue orders or to expect compliance. When organizations learn to leverage collective knowledge, they don't need leaders to tell them what to do. I'm skeptical about both the so-called wisdom of the crowd and the idea that the wise crowds don't need leaders to tell them what to do. And yet I love the idea of wikis and I would give them a place in a knowledge management initiative -- if it made sense and added value. Within organizations, there are often groups of Subject Matter Experts (SMEs) and aspiring SMEs who have deep knowledge and know-how related to specific disciplines. They are essential to the overall success of the organization because of their unique knowledge. Depending on how the organization is structured, they may all be part of one division or department or they may be spread out across the organization in a matrixed fashion. Perhaps they are part of a Community of Practice and perhaps not. Assuming they are not working in an environment where they have to compete with each other, a common wiki can be an effective tool to leverage group knowledge. To make it a sustained, effective effort, you would need some ongoing facilitation by one or more members of the group, and the nurturing of the accompanying Community of Practice. Insight: Wikis don't necessarily have to be all-encompassing and organization-wide. They can serve a niche need to leverage common knowledge at the local level, within a specific discipline. Just don't let your wiki turn into a group work area where members dump their files under the guise of "sharing". 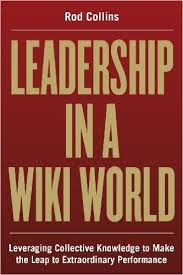 A wiki can be used in many different ways to facilitate a group's work and to support the accumulation and flow of collective knowledge, but the group members must all be clear about the purpose of the wiki. Some governance and facilitation is necessary, especially as the number of people contributing increases and as turnover in group members occurs. Develop a short presentation about the potential of wikis for "local" knowledge management. Explore the connection with Dorothy Leonard's work on "deep smarts" and critical knowledge transfer. Create training materials for personal wikis as a tool/approach for professional development/personal knowledge management and how it can tie in with CoPs and team or group learning. Incorporate the notion of "local" knowledge in presentations. Make sure it's sufficiently explained.